This is not your typical farmhouse kitchen – or is it? 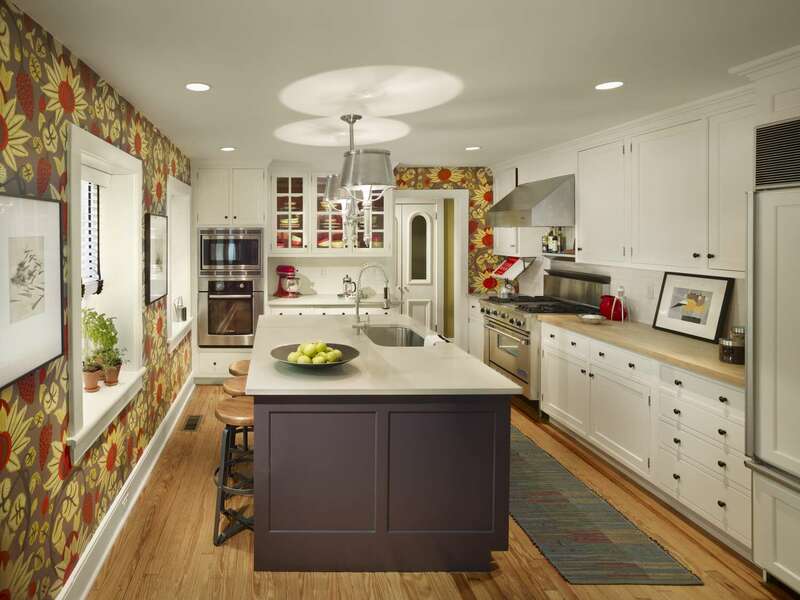 Subway tile backsplash, butcher block countertops, white painted cabinets…it certainly sounds like the archetypal kitchen of a 1928 homestead. However, this stone home on 4+ acres in Media, PA has a bit of a twist. 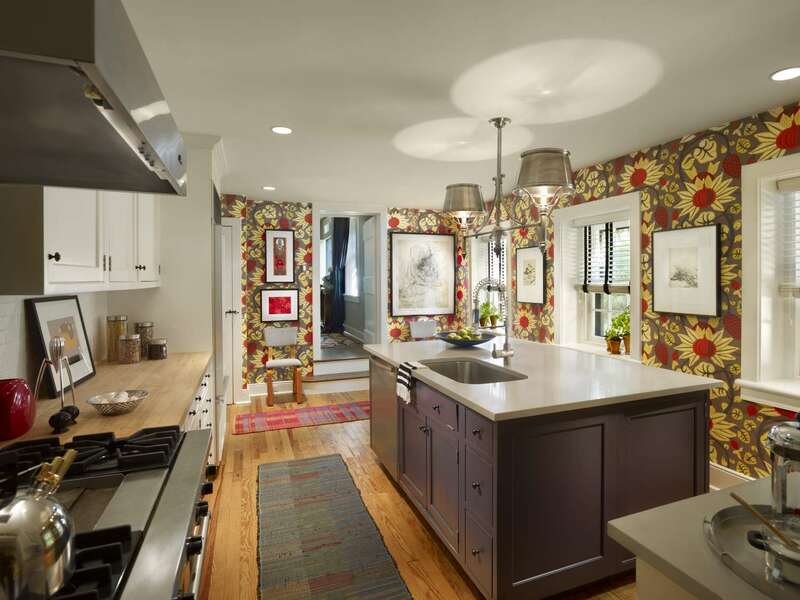 The Wallingford Community Arts Center hosted a designer showhouse and gave us the opportunity to ‘go bold or go home’ in this previously sad, dated kitchen, and that’s just what we did. The home had great bones, it just needed some freshening up. The existing cabinets were given a coat of paint, the island counter was replaced with quartz and the appliances got a modern update. 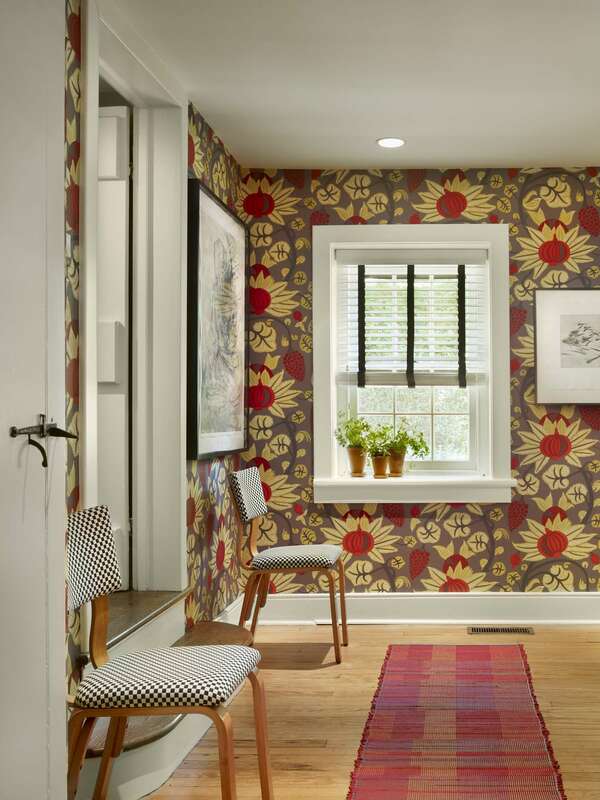 Local artisans hand-loomed the accent rugs and the printed wallpaper inspired the bold color palette carried throughout. Classic mid-century furnishings and collections of art finish off the space.